When deciding whether to use thermoset elastomers(rubber) in product design, manufacturers try to figure out what distinguishes rubber from plastic in the context of precision, molded parts. Product designers think a part design using thermoset elastomers are interchangeable with plastic; however, the chemical properties and molding characteristics of the two are very different. With applications requiring smaller parts and more difficult configurations(such as any pet toy, kitchen gadgets, or other consumers goods) new product designers must address all challenges that could arise in the development process. At TechTank, our injection molding process provides reliable, high-quality, and cost-effective products. With our inexpensive prototyping and use of alternative materials, we have the chance to decrease any harmful toxins released into the atmosphere, TechTank can confidently compete with injection molding costs overseas across all industries. Thermoplastic elastomers(TPE) and liquid silicone rubber(LSR) have similar characteristics and chemical properties. Both are ideal for many types of injection molding projects; however, there are some considerable differences manufacturers need to be aware of when deciding which material to use for specific end products. While TPE and LSR are useful alternatives to synthetic or natural rubber and may sound relatable, they are in fact not interchangeable. TPE material is a thermoplastic while LSR material is a thermoset. Each material provides different properties, behave inversely during the molding process, and contrast in their reaction to heat. For example, LSR hardens while TPE melts. Both TPE and LSR have similar physical characteristics at room temperature, but there are specific advantages and disadvantages of using TPE over LSR, and it’s vital to determine which is right for your application. 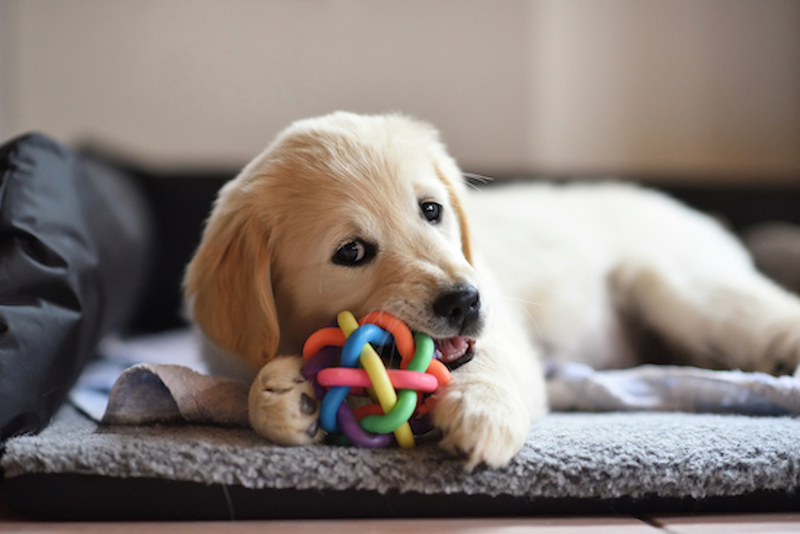 When comparing TPE vs. silicone(LSR), there are many benefits to using thermoplastic elastomers to construct pet toys, kitchen gadgets, and additional consumer good products. For instance, they use less energy during production. Thermoplastic elastomers are a blend of polymers that melt and form into plastic when heated. Manufacturers shape and fabricate TPE when temperatures reach its melting point then cool the plastic to harden the mold, without changing the chemistry from form-to-form. Having no chemical bond within thermoplastic elastomers, TPE is then pressure-molded into various components that strengthen and retain their shape during the curing process. When Using TPE, hundreds of remolding opportunities appear because there is no chemical change within the material. The only drawbacks of using TPE is how it melts when exposed to high temperatures—which could be considered a positive in some cases—and how it deforms under sustained pressure. LSR can deal with extreme range of temperatures(up to 400 degrees C) and will remain stable. LSR has a high chemical resistance to solvents, oils, and other chemicals, which is ideal for gaskets and O-rings that come into contact with various solvents in the automobile industry. Selecting toys for dogs that are durable, stylish, and sustainably made is a hard task. Manufacturing dog toys can be difficult when considering how to improve the quality and durability of a product. High-quality TPE material is flexible enough for a wide array of uses, including, manufacturing strong, safe, rubbery plastic dog toys that are squishy, fun to play with, and easy to clean. Chew toys especially need to withstand constant gnawing and attempts of destruction. TPE makes for a lightweight, UV light, and chemical resistant toy. They’re safe for the animal to use and are easily molded to offer a variety of textures and colors necessary to keep the animal’s interest. At TechTank, we ensure our customers that we only produce non-toxic, high-quality, and long-lasting toys from superior TPE material. Several objects in today’s homes contain thermoplastic elastomers. From handles on spoons and spatulas that are used to flip, stir, and whisk food to the toothbrushes, hair combs, and scissors used for beauty and hygiene care–thermoplastics are everywhere. Thermoplastics are an ideal solution for household products because they are heat and cold resistant. Thermoplastics are some of the most widely used soft plastic materials used in the market. Found in thousands upon thousands of products, manufacturers around the world have recognized this material for its use in consumer applications. At TechTank, our accommodating business model allows instant access to all of our capabilities to provide fast turnaround time for your short-medium run. Find out more about how TechTank is a leader in providing quick, high quality manufactured products for automotive, manufacturing, and commercial applications. Get a plastic injection molding quote today! TechTank adds a portion of natural elements along with the plastic material into the injection molding machine to then produce bioplastic products. Adding in these natural additives will help to reduce the enormous carbon footprint that most plastic manufacturing companies have placed throughout the world. Depending on how much clients want to add, TechTank can reduce the amount of plastic up to 50% through this natural additive process. Why Algae over other Natural Additives & BPA Substitutes? Algae has a better demand in terms of producing bioplastics as compared to corn, starch, etc. due to food spikes, both through consumption or volatile pricing. Algae has less impact on the food chain and on any food that could be consumed by humans. Also, TechTank believes that algae helps the greening process of plastics and ensure sustainability. A key advantage of using algae over other BPA substitutes is its availability: it is washing up on beaches everywhere and floating in seas throughout the world. The algae-based biomass behaves like traditional starch-based resins and also has a high heat tolerance. In the past, algae plastic had a strong fishy smell, but innovations and new technologically that TechTank has acquired now has a process that eliminates that fishy odor. This new additive substance has a tall order: people are looking for something can clean up industrial wastewater and polluted fish farms, convert CO2 emissions from utility and ethanol plants into oxygen, and replace fossil fuels — a tall order for pond scum. However, the emerging algae industry is targeting all of them. Green algae, usually found in fresh water, can be used to purify wastewater and remove CO2. Uses of algae help to minimize the carbon dioxide and nitrous gases from polluting smoke-stack environments, and also with potential chemical conversion companies that could convert the algae biomass into viable monomers for further conversion into potential biopolymers. Commercial algae resins represent a significant breakthrough in the greening of the plastics industry, a transformation that we believe is critical to helping ensure the long-term sustainability of the planet. As the demand for algal biomass increases, the incentives for other industrial plants to build out algae-based water treatment systems and sell the biomass will soon be realized. Livestock operations such as dairies, fisheries, etc. located in the southeast and southwest can use algae to treat their manure effluents and provide additional biomass to the market. Over time the aquatic biomass will become a commodity product traded like other traditional crops. Currently, large amounts of corn are being diverted from food production to enter biofuel or bioplastic production. Introducing a new, low-Eco footprint biofeedstock will help alleviate the demand on food-based crops for plastics and liquid fuel conversion. Generally speaking, the most considerable advantages of using bioplastics is to reduce the energy footprint and provide a less polluted ecosystem. In theory, the problem of overflowing landfills and floating islands of trash will be addressed through the increased use of bioplastics. Not all bioplastics degrade in a meaningful time span though – it is entirely realistic that some bio-based plastics will remain intact for decades — especially if they are not discarded properly. Bioplastics are also gaining popularity because they don’t contain bisphenol. Bisphenol S (BPS) are chemicals that were implemented when the FDA put BPA-free regulations on products in the food storage and baby feeding/accessory industries. Bisphenol and other BPA substitutes were not well studied before mass use; however, in the past few years, they have been shown to have endocrine disrupting similar effects to BPA in laboratory tests according to Center4Research. BPA alternatives also enter the human body just as quickly as BPA, suggesting that substituting BPA with new compounds are unlikely to provide any health benefits — showing why it is important to test the safety of potential BPA substitutes before they can be sold. For the time being, most of the concern seems to be centered on BPA’s alleged ability to disrupt hormonal activity. Bioplastics provide a potential alternative to this issue, although there is no guarantee that BPA won’t be added to bioplastics in the future. The best-understood advantage of biodegradable bioplastics lies in the reduction of permanent litter. Plastic single-use shopping bags are the most obvious example of how plastics can pollute the environment with vast and unsightly persistence. A large fraction of the litter in our oceans is of disposable plastic bags. Cities and countries around the world are taking action against these type of bags, sometimes by banning non-degradable plastic bags entirely. Are there Disadvantages to Using Bioplastics? It can be challenging for consumers to determine if the conventional plastics they’re using are biodegradable, compostable, or otherwise recyclable. For this reason, many bioplastics do not get recycled. Many facilities don’t have the abilities to sort, compost, or recycle bioplastics; so everything ends up in a landfill anyway. For example, a cup made from polylactic acid (PLA) looks and feels like regular plastic, so a consumer may throw it into the recycle bin when it could be composted. Aside from identifying bioplastics correctly, they must be discarded appropriately to biodegrade or compost. For instance, if a biodegradable fork is packed into an airtight landfill, it may not degrade at all. Conversely, anaerobic degradation–decomposition, in the absence of oxygen, could happen when moisture is present. Meaning biodegradable bioplastics create an air pollution problem. Other companies already use starches from corn, tapioca, wheat, and potatoes in manufacturing hybrid plastic products. Many competitors question why would TechTank bother adding yet another biomass to the mix? Simple. Algae is cheap, plentiful, doesn’t take away from the human food chain, and represents the near-perfect closing of the renewable products loop. TechTank can provide natural, environmentally friendly plastic injection molding services on full-sized runs, but mainly works with small to medium sized runs (around 5,000 pieces). TechTank offers a vast range of plastic injection molding services, working with all thermoplastic materials such as PETG and polyurethane. TechTank performs contract plastic injection molding services for many industries including medical and retail. TechTank does more than plastic injection molding and CNC machining. TechTank provides in-house new product design, development, prototyping, and manufacturing for various products across hundreds of industries. TechTank has the resources needed to take a new product idea from a concept and turn it into a reality, manufacturing high-quality products with quick turnarounds. Unlike your average machine shop, TechTank’s mission is to provide our customers with the best possible products inexpensively. For more information on the advantages of using natural additives in the plastic injection molding process with TechTank, contact one of TechTank’s professionals today. According to Adobe’s 2018 Digital Intelligence Briefing, only 15% of businesses use some form of artificial intelligence today. However, over the next 12 months, Adobe predicts that 31% of companies to implement it. Companies are implementing robotics into their production lines in order to increase speed and differentiate themselves. This upward trend is foreshadowed to continue, meaning companies in the industrial industry need to stay on top of these trends to be able to compete with the competition. TechTank has recently begun working with Live Automation to implement collaborative robots for B2B companies in the industrial, automotive, and manufacturing industry. Collaborative robots assist in various processes including injection molding process, CNC machining, and more to provide a competitive edge for producing low-cost, fast, and high-quality products. Aside from selling customers collaborative robots, TechTank offers new product development and in-house services including CNC machining, injection molding, and cybersecurity. From product design to production, TechTank has the resources, staff, and processes to turn your product idea into a finished result. Businesses in the 21st century are highly competitive and falling behind leading competitors die to irreparable disasters. Although collaborative robots have only been commercially available for about a decade, they were actually invented back in the 90’s. Alongside modern industrial automation, terms like ‘Cobot’ are showing up in the web space more than ever. The most obvious benefit of purchasing a collaborative robot for manufacturing processes, aside from offering higher efficiency to industries, is freeing up floor space and lowering the cost of implementing non-collaborative robotics. For example, a non-collaborative robot used in an automated cell must be guarded to keep operators outside. The guarding itself can be expensive, especially when gates, interlocks, and interfacing to the cell controller are included. However, the cost of moving material in and out of the cell is often overlooked. With collaborative robots, the cage is eliminated and an operator can work alongside the robot, positioning the material or workpiece, and removing finished pieces as needed. Less obviously, collaborative robots permit flexible manufacturing practices. Even when equipped with vision systems, there are limits to a robot’s ability to handle unexpected conditions. Consider a material removal cell where a robot is trimming plastic moldings. Excess material builds around the tool and workpiece and pushes the plastic away from the tool. In a collaborative setup, a human operator can step into the cell and the robot will pause while the buildup is removed. Then, with the operator safely out of the way, production will resume. Collaborative robots can save space and money and increase flexibility. Live Automation requires all automated machines to meet strict safety guarding and safe operational requirements. Still, it is essential to conduct a formal risk assessment before ditching the cage. TechTank uses collaborative robots for a wide range of tasks. Unlike standard robots, collaborative robots have numerous abilities, letting TechTank use them for their own custom needs. Collaborative robots perform people-oriented tasks, especially the mindless and tedious ones that do not involve a high amount of skill. 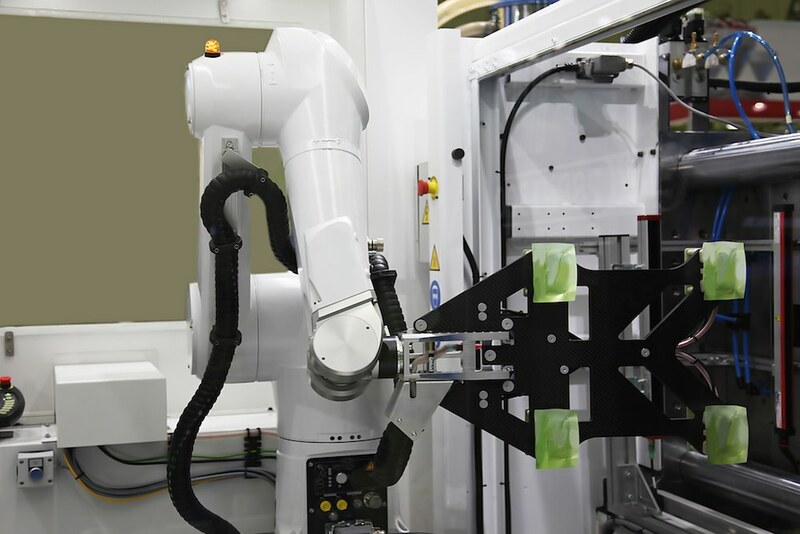 Things such as stacking and unstacking heavy boxes, filling and emptying containers, and organizing materials are completed with the use of these collaborative robots. Implementing automated robotics over manually operated equipment eliminates repeated tasks that can result in a human error during any manufacturing process. TeckTank’s team of professionals can now focus on continuously supervising, administering, monitoring, and analyzing all machines and robotics more efficiently instead of working on the tedious actions involved in CNC machining, plastic injection molding, etc. By replacing manually operated machines for specific tasks, TechTank has been able to create quality products with faster turnaround times. Live Automation’s collaborative robots can run nonstop for several months, reducing idle times and shortening long-term projects. Reducing the time spent on manufacturing services not only results in quicker turnovers, but it allows TechTank to take on more significant projects and manufacture massive quantities at once. Resources and time are no longer wasted, resulting in more revenue, setting TechTank apart from other CNC machining and injection molding companies. TechTank offers a vast range of plastic injection molding services, working with all thermoplastic materials such as acrylic, PETG, and polyurethane. TechTank performs contract injection molding services for many industries including, industrial, medical, and retail. TechTank focuses on providing inexpensive prototyping to confidently compete with other plastic injection molding and CNC machining companies and their costs across the world. TechTank has the ability to provide all plastic injection molding services on full-sized runs but mainly works with small to medium sized runs(around 5,000 pieces). At TechTank, we do more than plastic injection molding and CNC machining. TechTank provides in-house new product design, development, prototyping, and manufacturing for various products across hundreds of industries. TechTank has the resources needed to take a new product idea from a concept and turn it into a reality, manufacturing high-quality products with quick turnarounds. Unlike your average machine shop, TechTank’s mission is to provide our customers with the best possible products inexpensively. For more information on the advantages of buying collaborative robots with TechTank, contact one of TechTank’s professionals today! 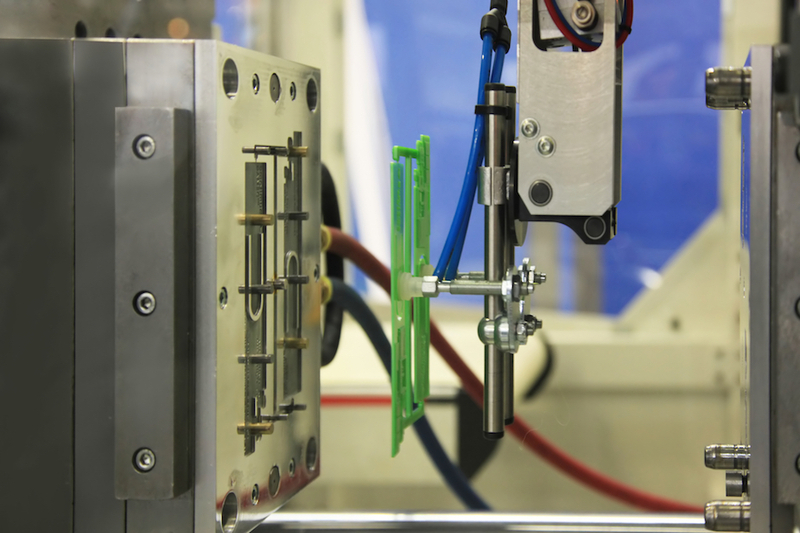 MRITHYUNJAYA Y B on What Is Plastic Injection Molding? Gary Puntman on What Is Plastic Injection Molding?